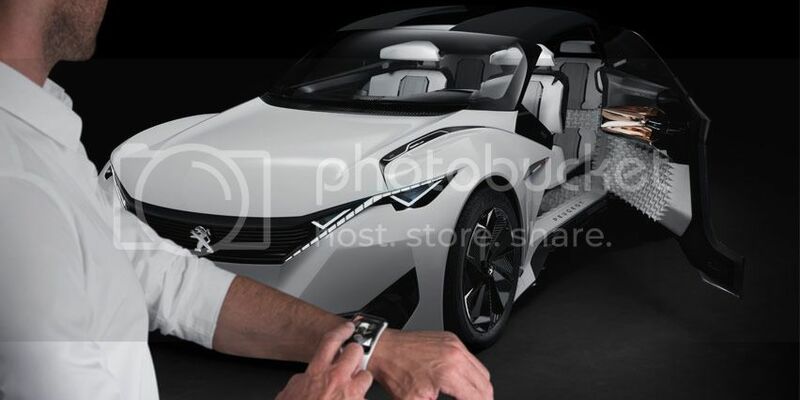 Amon Tobin helped design Peugeot’s new concept car. French automotive giant Peugeot has enlisted the help of audio technology experts SubPac and Ninja Tune producer Amon Tobin to create their new music focused concept car. The Peugeot Fractal is an electric urban coupe with an 80% 3D printed interior and an unprecedented focus on an auditory experience. Amon Tobin was on board to help develop the slick, hi-tech interior and exterior identity, which is reflective of the Brazilian producer’s own futuristic, experimental style. Tobin was also responsible for tuning the acoustics of the cabin (or ‘i-Cockpit’, as Peugeot calls it) and created a custom sound that plays when the car doors are remotely opened via a smartwatch app. SubPac’s Tactile Bass technology is integrated in a set up that includes thirteen (13!) FOCAL speakers installed into the back of each seat. “Music is a central part of the driving experience. Integrating SubPac technology into the automotive world has always been a part of our road-map, and we’re beyond thrilled to be a part of the forward-thinking Peugeot Fractal,” said John Alexiou, SubPac’s CEO. “Once people physically feel the true impact of music and sound, there is no going back to just hearing it”. The Fractal will be making its debut at the 2015 Frankfurt Auto Show in a couple of weeks.